Thought I'd create this thread now, seeing as I've got some basic levels and am in a position to record myself doing things that are more interesting than completeing, say, Cooks Assistant. 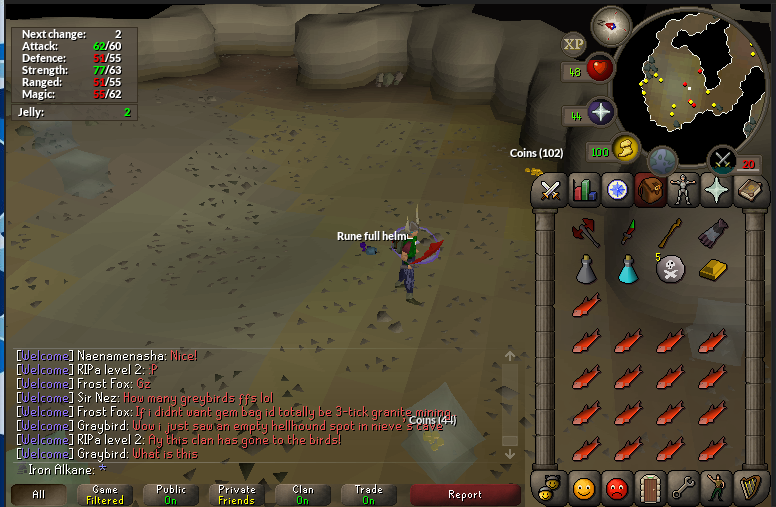 Me planning on camping troll runts after I achieved 60 attack to loot a rune kiteshield, coupled with the fact a god dhide body is the perfect item for fight caves, meant this was a fantastic reward! that's a fantastic clue for an ironman! 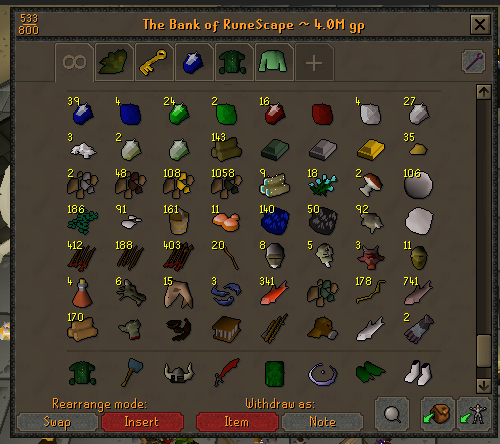 My bank has just hit the 4m mark! I've been working on levelling combat through slayer, and getting reqs for achievement diaries/quests. No super notable drops to update on, but some decent level progression. 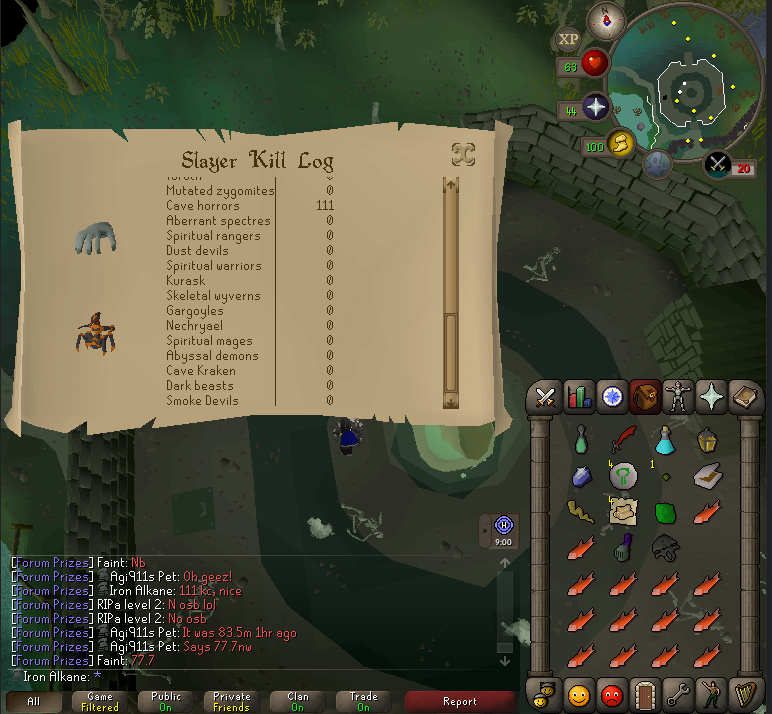 First rfh from Jellies, needed for clue scrolls so im very happy! 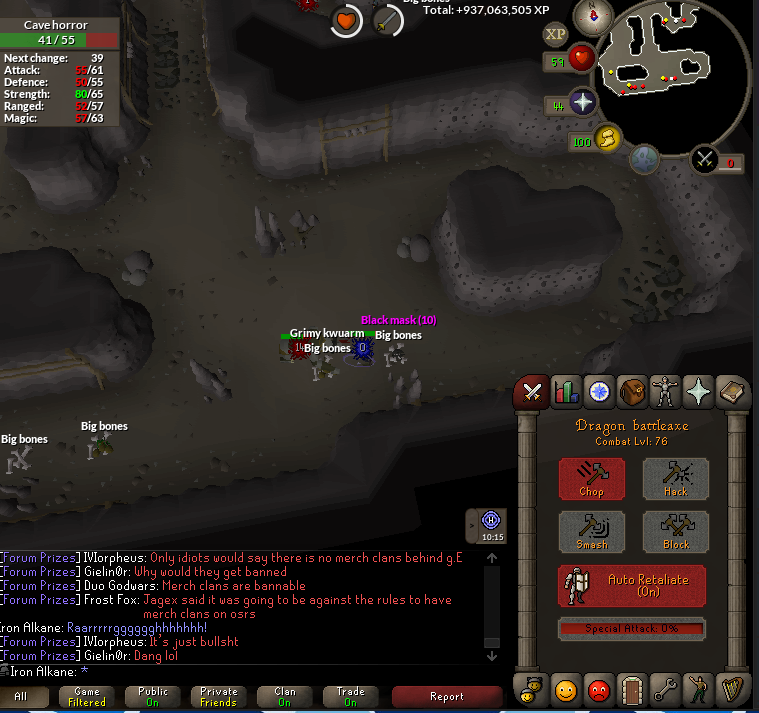 Congrats on the rfh and nice gains! 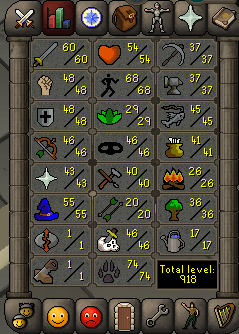 Today I reached a very important goal of mine, 58 Slayer! I am now in the process of doing the delightful chain of quests (think i need to do 9) to access Cave Horrors and loot a Black Mask. Thanks, and yeah everything seems much more rewarding than my main. The low levels are quite a struggle, but once you get past that it gets progressively less repetative! good luck on that black mask bro! your bank is looting pretty nice too! 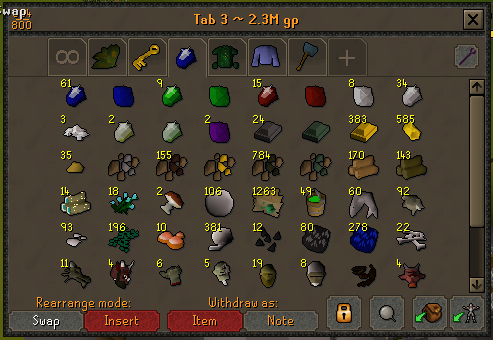 Good luck on the black mask, it's nice to see your bank being so organised! 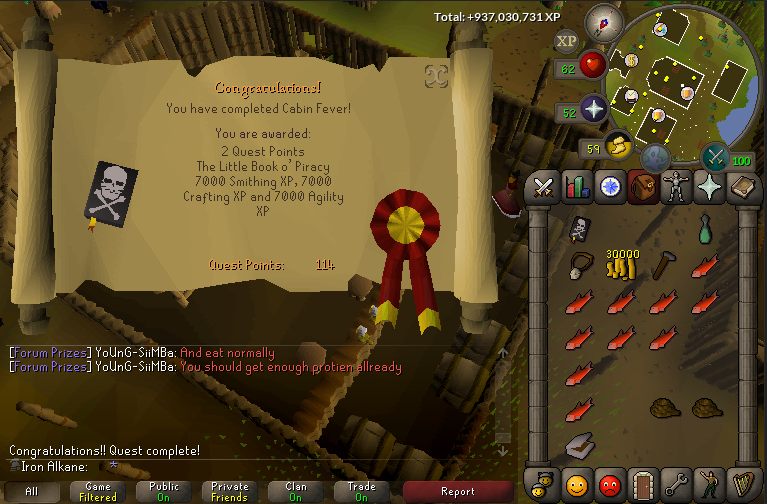 After a silly amount of quests, I finally can start camping Cave Horrors! 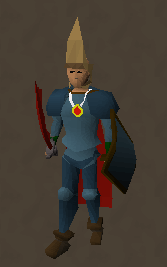 Finally I've achieved the first major goal of this account, a Black Mask. 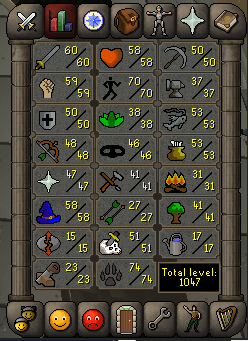 For now, I shall continue with Slayer until im 65 attack to then access the Warrior's Guild. 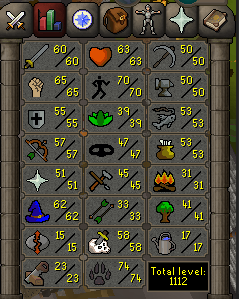 Just finished Underground Pass. Whilst I originally said I'd be doing Slayer, I think I'm going to take a small break and try some Crazy Archeologist. 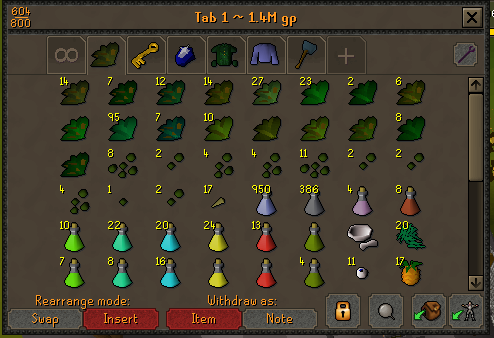 Really need the Rcbow and Red dhide body drops, and of course any shard drop would be unreal!